We love good quality ice cream in it's every form- cup, cone, sundae, split, etc… An excellent vanilla is unbeatable on it's own or as a base in your favorite dessert recipe. 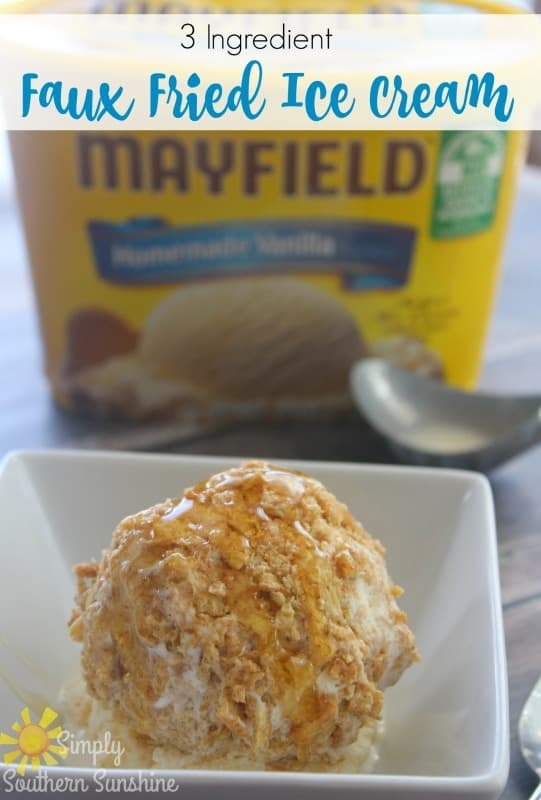 The Mayfield Dairy has been making ice cream since 1923 with fresh cream from their own dairy with no artificial growth hormones you know that they are on the ball with what they are creating. 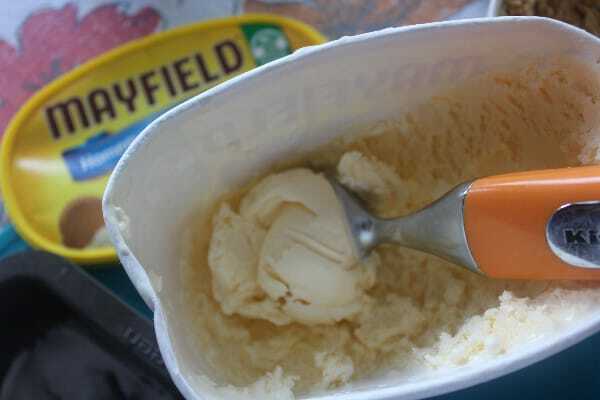 A southern tradition, the Mayfield Flavor family offers over up a wide variety of delicious products but today their Homemade Vanilla is the star! The Mayfield Flavor Family are your friends, families, and neighbors who love the great taste of Mayfield and all of their delicious flavors that are an integral part of our southern hospitality and get together's! I grabbed my ice cream while shopping at another Southern Tradition- Winn Dixie. 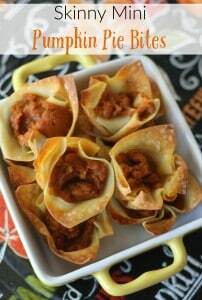 I have been making this simple recipe for years and it is a family favorite for everyone. 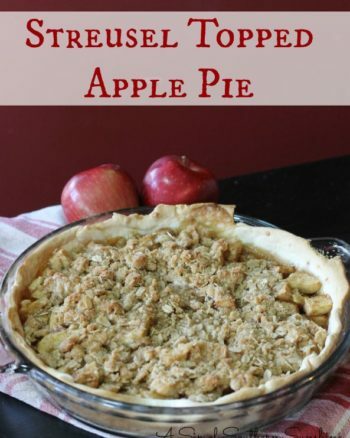 I love how easy it is to create a dessert that just seems so special and more complicated. Scoop out generous slightly softened balls of ice cream, one per person is perfect. 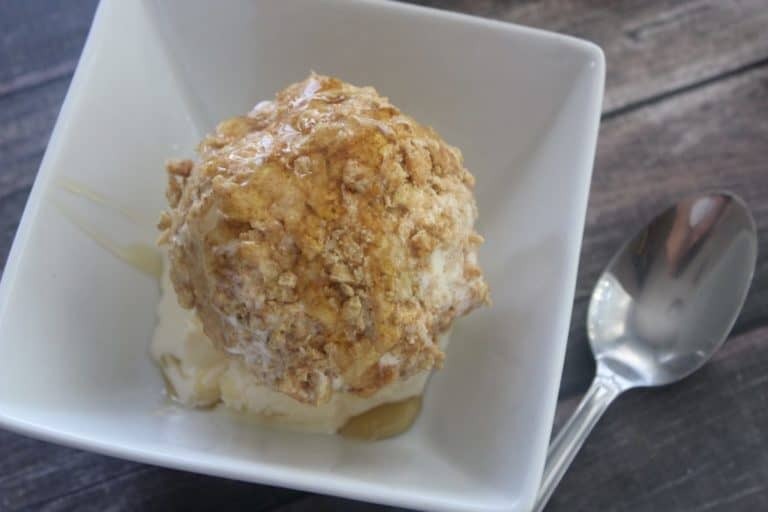 I use my hands to gently shape my ice cream into a more uniform ball shape. 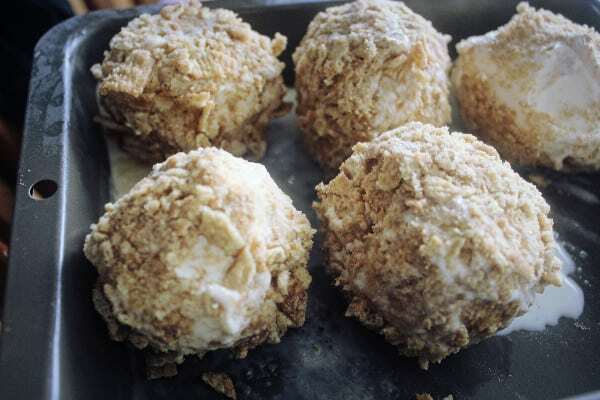 Place balls on a baking sheet lined with aluminum foil or waxed paper and place in the freezer for one hour to harden up. 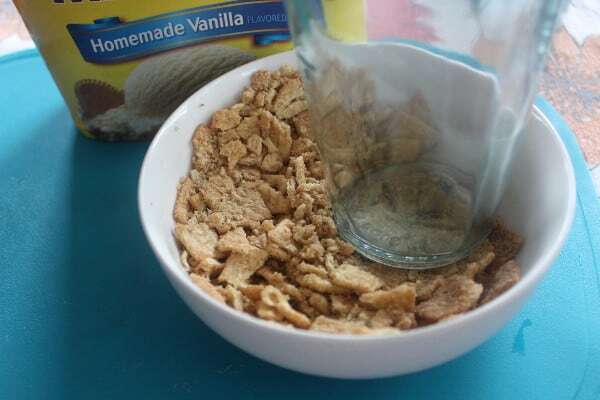 When your ice cream is firm- Crush your cinnamon cereal into small crumbs, I placed mine in a large shallow bowl and used the bottom of a heavy glass to press it. 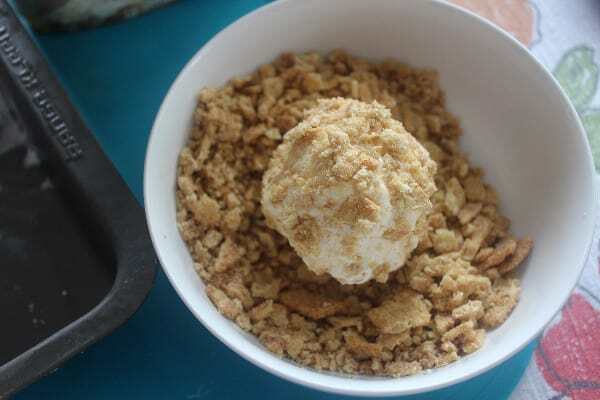 Roll ice cream balls in cereal to generously coat. Return to tray and place in freezer until ready to serve. Before serving drizzle with honey. 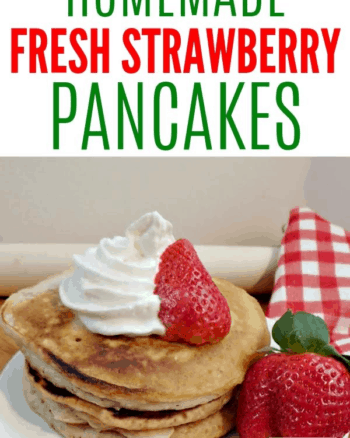 Add whipped cream and a cherry if desired! 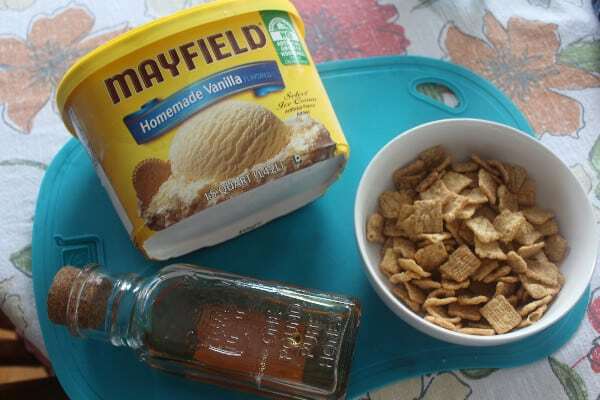 While this combo tastes very much like the fried ice cream served in Mexican restaurants because of the cinnamon, sugar, and honey, you can try other cereal flavors with your Mayfield Ice cream. Try crushed cocoa , fruity, peanut butter, or any other cereal flavor you like for a new twist. 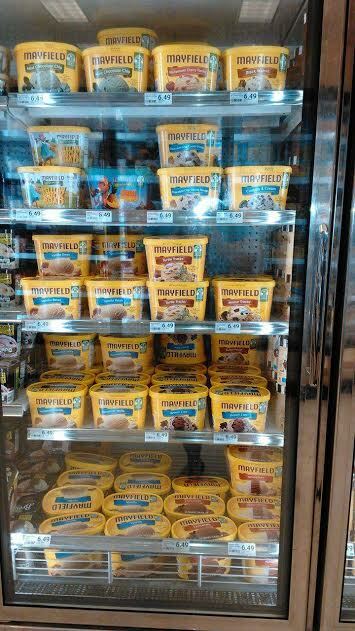 You know where to head to at your local Winn Dixie for Mayfield don't you? You will find the bright yellow tubs in the ice cream aisle! And grab some of this goodness! Become a Mayfield Flavor fan and get notified of new flavors and receive special offers! 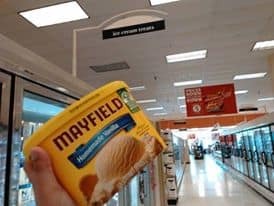 What is your favorite variety of Mayfield Ice Cream?